Fáilte is a traditional Scots or Irish welcome. 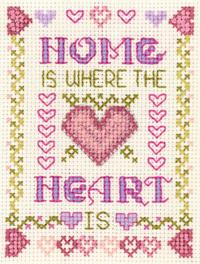 A Failte Celtic Welcome Sampler in cross stitch to welcome guests ~ this sampler would look great in a Bed and breakfast ! 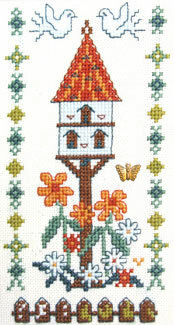 Failte Celtic Welcome Sampler cross stitch kit has only top quality materials ~ Zweigart fabric, DMC thread and a needle. The kit includes full instructions and a clear colour chart with symbols. This word appears in the Irish phrase céad míle fáilte (a hundred thousand welcomes) as well as the similar Scottish phrase ceud mìle fàilte and the Manx keead milley failt. It also occurs in the name of Fáilte Ireland and its predecessor organization, Bord Fáilte (Board of Welcome). The accent above the a is a diacritic known in Irish as the síneadh fada (literally, long stretching, as it lengthens the vowel; often called just the fada in English), and as the sràc in Scottish Gaelic.